Meet Utile’s 2018 Summer Interns! 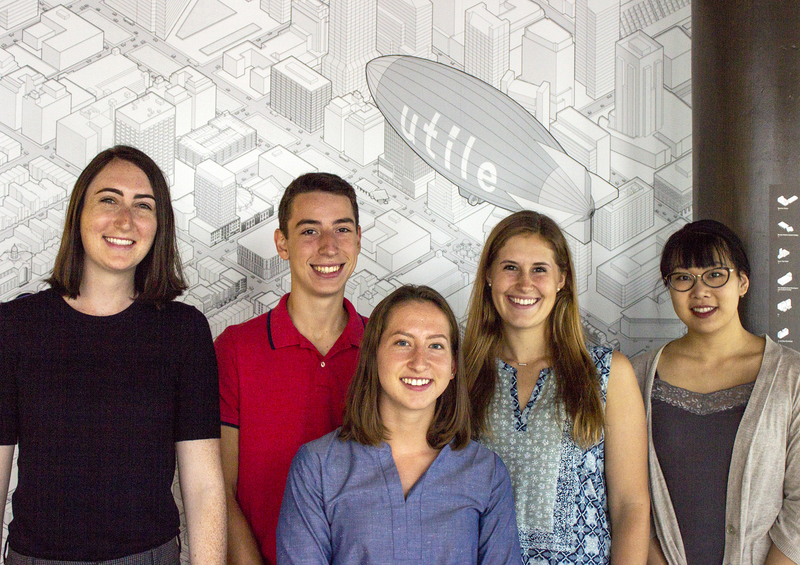 Introducing Utile’s newest interns! From left: Katelyn Keen is a six-month co-op entering her third year at Northeastern University, where she is pursuing a B.S. in Architecture with a minor in Architectural Engineering. Oliver Franklin joins us for the summer after graduating from Boston Latin School and will be attending American University in the fall as a business student. Ana Leopold, our other six-month co-op, is also a third-year student at Northeastern University, pursuing a B.S. in Architecture. Cecilia O’Reilly is entering her senior year at Boston College and is studying Applied Psychology and Human Development & Communication. Finally, Jessica Yuan will be with us through the fall when she enters her third year as a Master of Architecture candidate at Harvard University’s Graduate School of Design. She previously earned a B.A. in Architecture at Yale University. We’re looking forward to working with this promising crew! Jamaica Plain Branch of the Boston Public Library wins 2018 Preservation Achievement Award!